This entry was posted in Walkthrough and tagged masyu on 2014-04-26 by rob. 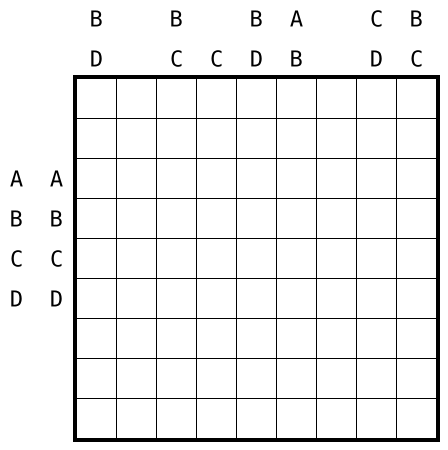 Here’s another Maximal Lengths puzzle. This entry was posted in Puzzles and tagged hard, maximal lengths, practice on 2014-04-22 by rob. Just to note that I’ve published the source files to the booklets for my 24h hour set, with the hope that that might be useful in the future to someone wanting to format their own puzzle set. Also, I saw that Stack Exchange should be launching a puzzling Q&A site soon. That could well develop to be a useful resource. This entry was posted in Uncategorized on 2014-04-21 by rob. 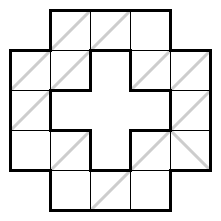 Here’s a Prime Place puzzle, another type from the upcoming GP round. Finally a type that forces me to deal with rendering irregular grids! 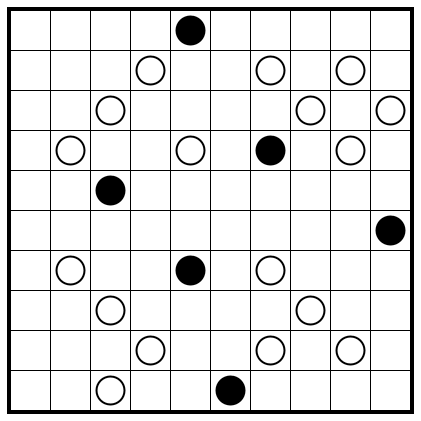 I wonder if we’ll have a hex grid in one of the next rounds? 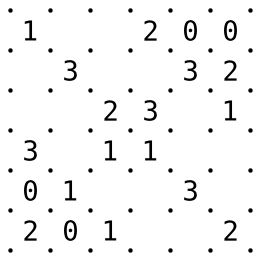 Rules Place a number between 1 and 4 into each cell, such that each number occurs exactly four times. The digit sum of each horizontal or vertical word must be prime. 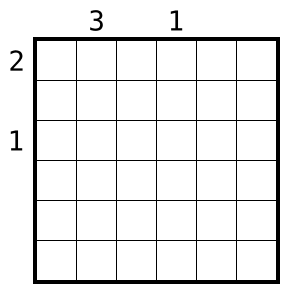 The digit sum of a diagonal word is prime precisely if that word is marked with a gray diagonal. 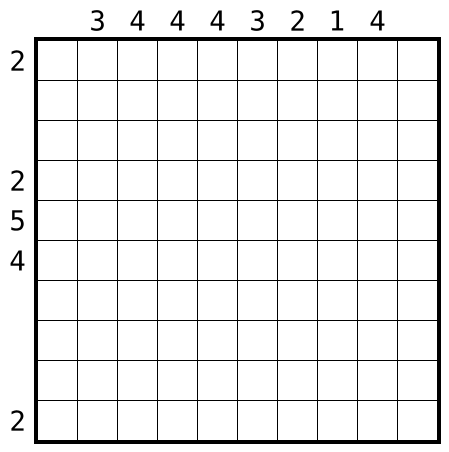 Here, a word is a maximal straight line of connected cells; words may have length 1. This entry was posted in Puzzles and tagged medium, practice, prime place on 2014-04-20 by rob. This entry was posted in Puzzles and tagged easy, maximal lengths, practice on 2014-04-19 by rob.